Beijing will show the world “something new” when it rolls out its arsenal of short- to medium-range ballistic missiles at its National Day military parade in October, according to a Chinese expert on international relations. 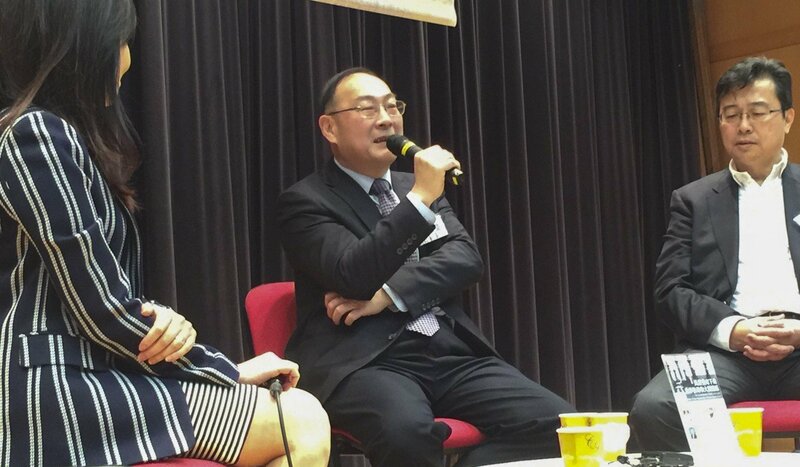 Speaking at a seminar at the University of Hong Kong on Saturday, Professor Jin Canrong, associate dean of the school of international studies at Renmin University in Beijing, said China had made great strides in expanding its military capability, but there was a lot more to come. While he did not elaborate on what the “something new” might be, he said the country was gearing up for a possible conflict over Taiwan, the self-ruled island that Beijing regards as a wayward province awaiting reunification. Over the next five or 10 years, Taiwan could provide the “biggest uncertainty” for Beijing, he said, especially if the United States decided to “ignite” the situation. Known for being outspoken on sensitive issues, Jin said that while Beijing wanted a peaceful reunification, it was wary of “pro-independence factions [on the island] and right-wing American [politicians] creating trouble”. In a speech on January 2 to mark the 40th anniversary of Beijing’s call to end military confrontation across the Taiwan Strait, Chinese President Xi Jinping said that “the political division across the strait … cannot be passed on from generation to generation”, apparently signalling his determination to bring it to an end. Xi said China would not abandon the use of force in reunifying Taiwan, but stressed the military would target only external elements and those seeking independence for the island. In 2017, Taipei said that it had detected the deployment of DF-16 ballistic missiles on the mainland that were aimed at Taiwan. Jin said China was rapidly expanding its missile capabilities. The People’s Liberation Army had already stockpiled about 3,000 short- and medium-range missiles, he said, even though it had been using just 15 per cent of its production capacity. “Just imagine if we were running at 100 per cent,” he said. Under its plan for military modernisation China had achieved “great advancements in space, electronics and cyberwarfare”, the academic said, but its achievements to date were only the beginning. As well as the expansion of its missile force, Beijing was investing heavily in its navy, he said. Is China about to abandon its ‘no first use’ nuclear weapons policy? With the deployment of the new Type 055 guided-missile destroyer – which some Chinese military experts have said is as good as anything in the US Navy – the balance of power was shifting, he said. And as the navy continued to modernise and expand, the US might be forced to rethink its position in the region, he said. Jin said that China would also soon have all the scientific, academic and research personnel it needed to achieve its military ambitions. “China had nearly 30 million university students in 2018, which is twice as many as the US. More than half of them are studying science or engineering,” he said. Beijing also had the money to support its plans, Jin said. Based on his own calculations, he said China allocated about 1.4 per cent of its gross domestic product to military spending, which was lower than “Germany’s 1.5 per cent”, and less than half the “3 per cent in Britain and France”. “The tax paid by Chinese smokers is more than enough to cover [the country’s] military expenses,” Jin said. According to figures from Nato, Britain spent 2.1 of its GDP on defence in 2017, France 1.8 per cent and Germany 1.2 per cent. Both the World Bank and the United Nations put China’s military spending in 2017 at 1.9 per cent of its GDP.